*Florence* is a rectangular stole, worked from the middle outward. It begins with a provisional cast-on – no sewing or grafting required. 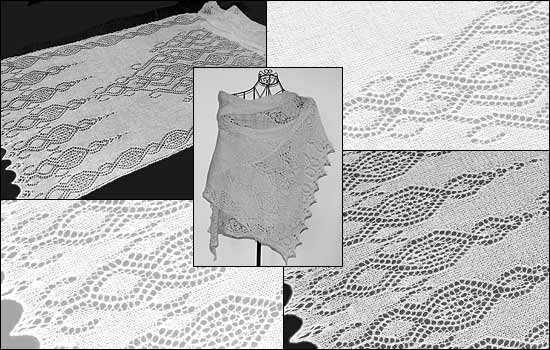 A big interlacing ornament is placed in the middle of the stole, set against stockinette background. Motifs of the main ornament are mirrored in the ornate border. *Florence* is one of the 12 patterns included in the » ebook *TuecherRausch*.